Votorantim Cimentos has obtained, through The International EPD® System, environmental declarations for five products from its portfolio, in line with the company's sustainability strategic plan. Votorantim Cimentos is the first in the construction sector in Brazil to obtain the declarations – which assess the environmental impacts of products throughout their life cycle, followed by third party validation – and the first Brazilian company to have them registered by the international program. The EPD is a report with quantitative information on environmental impacts associated with a product and/or process, obtained through the evaluation of all phases of its life cycle, including extraction of raw materials, manufacturing, transportation, distribution and use at its final destination. It is a transparent document, including global information on the products. 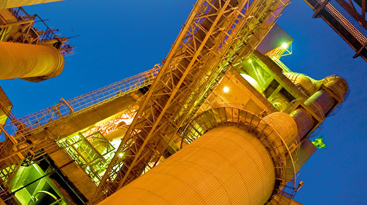 In addition to certifying the environmental impacts involved in the whole production process in 24 categories, the declarations contribute to encouraging the practice of life cycle assessment not only by the cement industry, but also by the entire chain of construction manufacturers and suppliers, to promote sustainable construction. As a result, construction companies, which are Votorantim Cimentos' main customers, ensure a step forward to achieve sustainable building certifications, such as LEED and AQUA. "Companies in the production chain are moving towards sustainable concepts in an integrated manner, aiming to bring more eco-efficiency to their products through life cycle assessment processes," said Patricia Montenegro, Global Manager of Corporate Environmental Affairs at Votorantim Cimentos. This initiative was first discussed in 2014 as part of the Cement Sustainability Initiative (CSI), which brings together the 25 largest cement producers in the quest for sustainable development. At the time the CSI, in partnership with a Swiss company, developed a tool to assess the life cycle of products involved in the sector's supply chain. The declarations also offer the company the ability to innovate, since the evaluation of the product life cycle identifies improvement opportunities in the production process, such as energy and cost reduction and waste management. According to the "World Green Building Trends" survey conducted this year, the number of green buildings grows between two and six times every three years, depending on the country. In Brazil, the expectation for the next three years is that this rate will grow from 6% to 36%. The published declarations are available at The international EPD® System website.